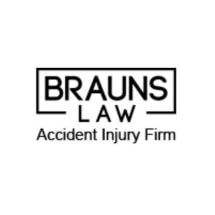 Our law firm's founder, David Brauns, has over 11 years of legal experience, and began his legal career as an insurance defense attorney. Prior to practicing law, David worked as a software engineer in high profile software startups. Combining these professional experiences provides David with the unique ability to devise more effective strategies on behalf of his personal injury clients - from navigating all the problems and issues that come with being hurt and having your life disrupted to securing the maximum compensation and benefits possible. Regardless of the complexities surrounding your case, David has the skills and resources necessary to help. He works closely with you to fully understand your situation and will remain with you throughout the process to significantly increase your odds of achieving the positive results you expect and deserve.